← Amazing event @FullSail with Barry Hawkins from Riot Games! Art History Update, Field Trip, Finally working with PhotoShop! This is considered “Art” and is displayed in many different museums. So basically this artist in 1917 decided to be avant-garde or just a Smart-A$$ (not sure which) and submitted this Urinal to the Society of Independent Artists but was rejected, yet this piece has since become considered a work of art. All he did was sign his name to it, so if you are looking at it, like I did, wondering where the “Art” aspect of it is, stop looking! Growing up in St. Petersburg, FL my whole life I was blessed to have the Salvador Dalí Museum right in downtown St. Pete and have visited many times. 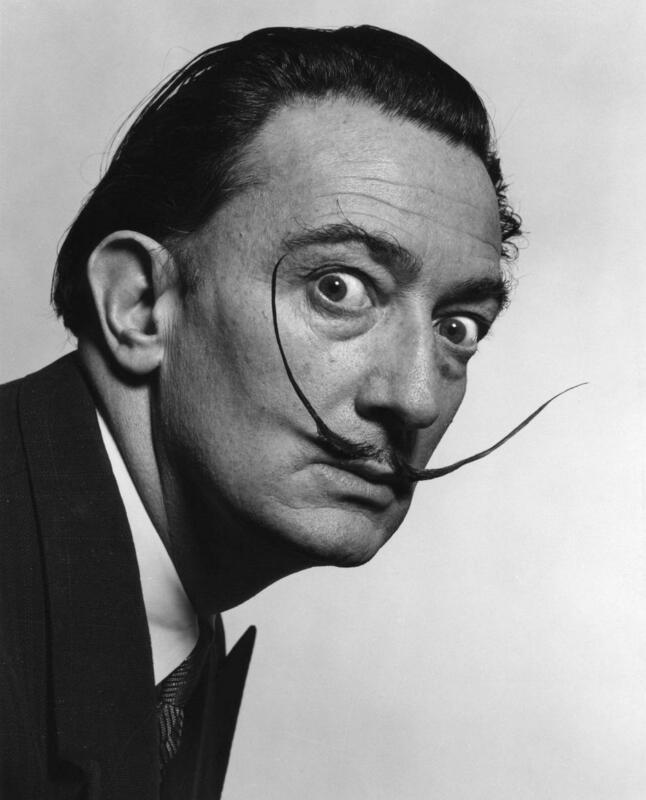 He was a Surrealist painter who had such a crazy yet amazing mind. Every time I do research on him I learn something new about him or find a piece he did that I hadn’t seen before. Nothing beats going to his museum in person and seeing his most famous pieces right in front of you. I could spend hours there staring at each piece and finding something new each time to study. These are just a few of his pieces that I find interesting. I had a great time here and we even got to do a scavenger hunt for the museum. They gave us a sheet with clues on it and we had to find 14 different art pieces based on the clues and write down the name of the piece and the artist. I enjoyed seeing all different genres of art that was on display but we had to pick out our favorite and write a paper about the artist. I had a strong liking to a Japanese artist named Honda Syoryu who does basket weaving art. I know that sounds a little boring, but take a look at these. Very amazing! One of the best parts of the Art History class is we have finally gotten into using our PhotoShop and making some art. Now I understand most people haven’t used PhotoShop, but I have been self-taught so I was a little past most of the students in class and they had to have us do very simple projects to get used to it. I spent most of my time just helping the students seated around me making sure they knew where things were and were on the same page as everyone else. The first was our cave painting. We had to simulate a cave painting using PhotoShop to give the impression of it being a painting that was found and here is mine. I choose to draw a Rhino for many different reasons. 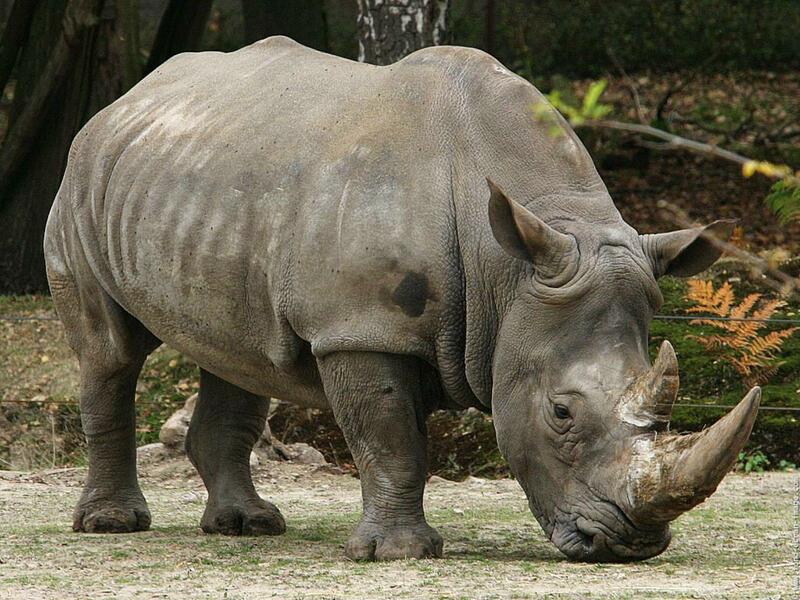 One as you may or may not know the Rhino is one of my favorite animals. Second I was surprised to find out that the prehistoric man drew rhinos in the caves in southern France. 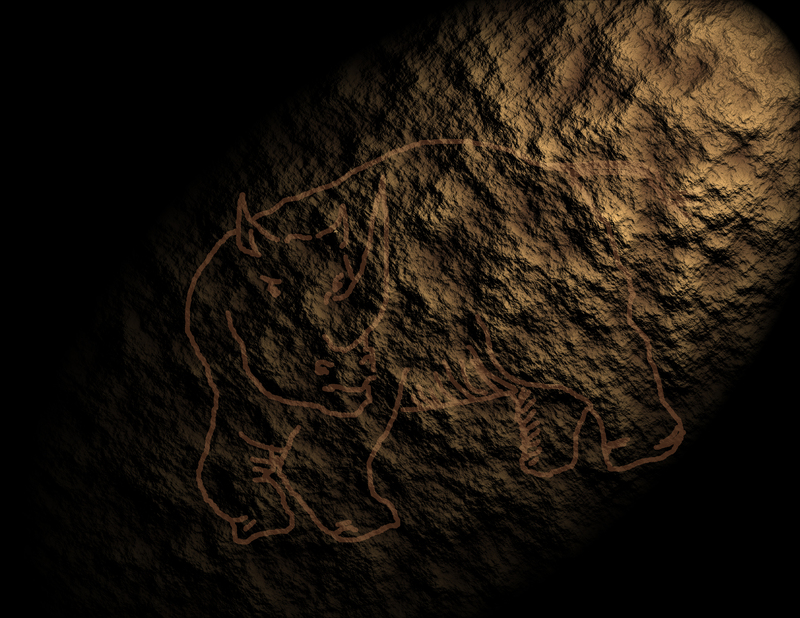 So this was my simple Rhino cave drawing I did. Then we got to do a Tiled Mosaic painting from an image we found online. 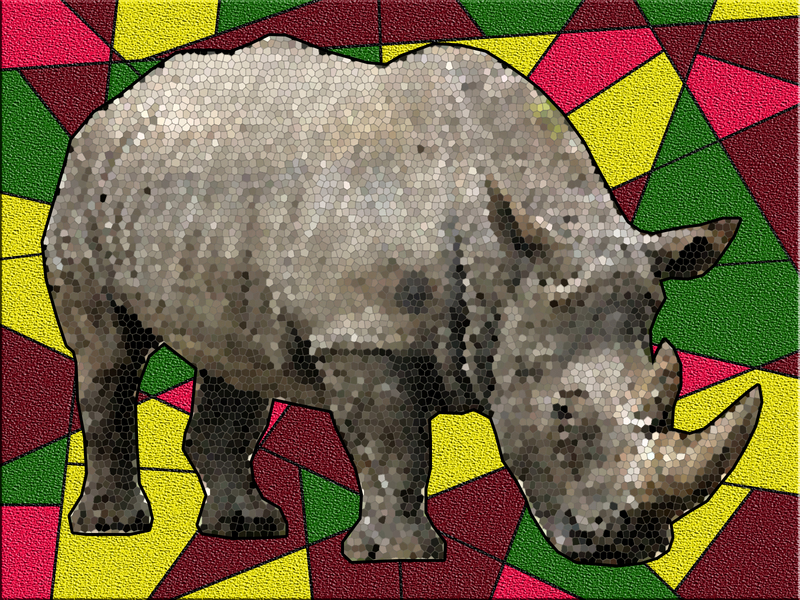 You guessed it… I did a Rhino again! So I know this has been a lot and I will try to keep you updated on a more regular basis so there isn’t a ton of stuff to tell you, but things get pretty crazy around Full Sail. I am already looking forward to my next class 3D Fundamentals of Art 1 which I really hope is when I get my Wacom Tablet for drawing. Thanks for reading about my past few weeks. Posted on September 18, 2013, in My Art Work, News and Info and tagged Art, Art History, Bachelors Degree, Back to School, Campus, Cave Painting, Class of 2016, College, College in my 30's, College Life, Drawing, Fountain, Full Sail, Life, MacBook Pro, Marcel Duchamp, Museum of Art, Orlando, Rhino, Salvador Dalí, Sean Korb, Story, Success, Thirty Something, Tiled Mosaic, University, Video Game Art. Bookmark the permalink. Leave a comment.